Designed for use with any charger. 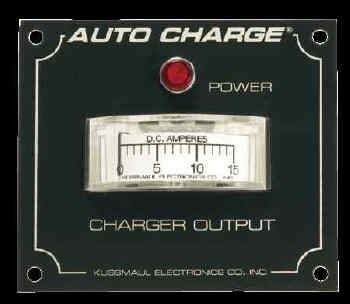 Neon pilot light indicates when power is applied to vehicle and a DC ammeter to measure battery charger output current. Specify ammeter current (15, 20 or 25) when ordering.